Spring Break on the Cape! Okay, we know it may sound a bit cliché, but spring has officially sprung! That’s right; for the past few weeks we at Homestead have been hinting at the excitement of the spring season…and it’s finally here. Cape May is fortunate to have been spared the wrath of a harsh winter. Nevertheless; winter is cold, gloomy, and at times a bit desolate by default. 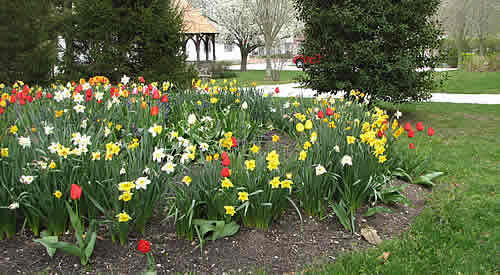 While that all may be a dream come true for the ultimate lover of tranquility, a majority of us have been anxiously awaiting the buzz of spring, especially the vibrant budding trees, stunning color of awakening perennials, and general buzz of activity in the air. Of course we also love the longer days that are perfect for evening strolls and stunning sunsets. Differing from the golden sun of the fall and winter, spring sunsets acquire a unique vibrancy that is not to be missed. This year, an early Easter holiday means that spring break is suddenly upon us. Exhausted by winter cabin fever and often granted with additional time off, visitors traditionally flock to Cape May at this time. If you find yourself in town over the holiday break, there are some fantastic events awaiting the entire family. 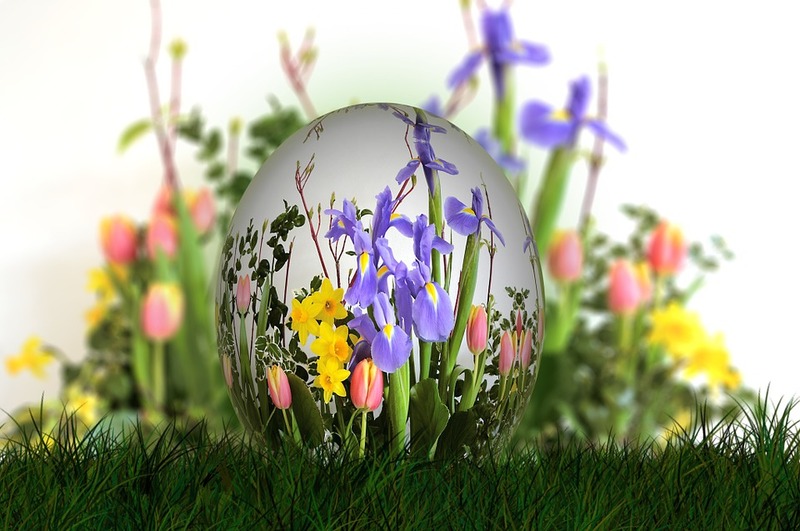 On Saturday, March 26th at 10:00 am, the Cape May Kiwanis Club will be hosting its annual Easter egg hunt at the Emlen Physick Estate. This event likely tempts the inner child in us all! However, it is reserved for children up to second grade level. All children will be excited to know that the hunt includes a chance to uncover a golden egg. As if that weren’t enough to excite the little ones, there is also a rumored Easter Bunny appearance! On Easter Sunday, we encourage you to enjoy the Cape May Easter Fashion Stroll. The stroll will begin promptly at 1:00 p.m. Of course you’re welcome to enjoy the stroll as a spectator, but much more fun can be had by arriving at noon and signing up to participate! There will even be prizes for best Easter bonnet and best dressed family. It’s the ideal event to attend before heading out for those much anticipated holiday meals and festivities. Our Lady Star of the Sea Roman Catholic Church (Corner of Washington Street Mall and Ocean Street): Easter Vigil Mass, Saturday 3/26 at 8:00 pm. Easter Sunday masses will be held at 8:30 and 10:30 am. and also 12:30 pm. Macedonia Baptist Church (630 Lafayette St): 6:30 am Sunrise service located at the Grant St. Beach. 11:00 am traditional worship service at the church location. Preceding this service will be a 10:00 am Easter children’s program. 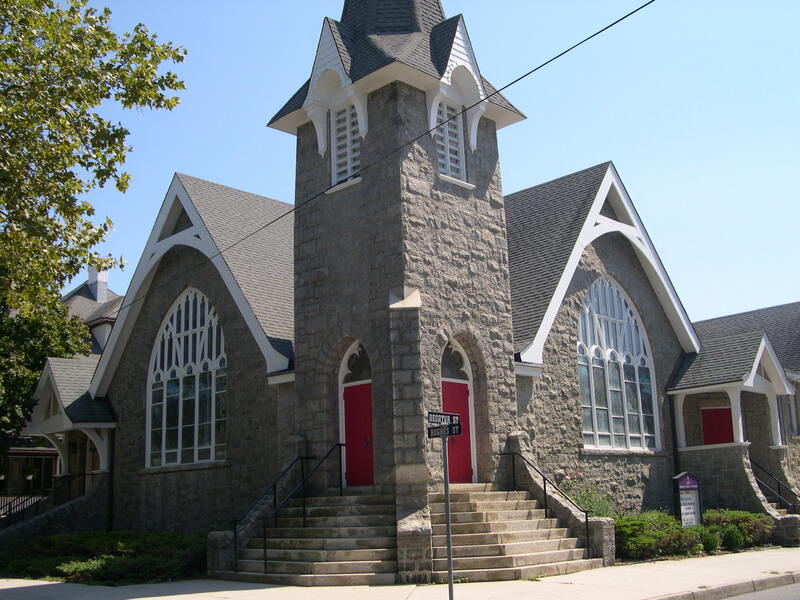 Cape Island Baptist Church (Corner of Columbia Ave. and Gurney St.): Sunday 3/27, 11:00 am worship service. Find more information here in regard to houses of worship in Cape May and its surrounding area. If you will be dining in Cape May for Easter (or anytime!) please check out our area restaurants and locate cuisine tailored to all tastes and pocketbooks. As we enter the spring season you will find that most dining establishments are open, but not quite everyday just yet. The majority of restaurants will remain closed on Monday and Tuesday for about another month, so your options will be more limited during the early to mid-week. But if you’re in town Thursday through Sat/Sun, most locales are now open. As a general rule, this holds true for Cape May’s multitude of shopping destinations as well. With spring in the air (and on the calendar!) 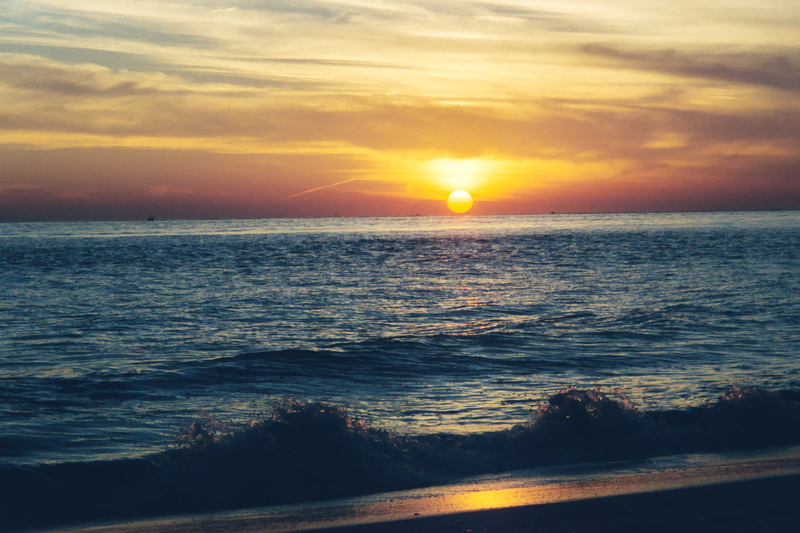 you may be thinking that you’ve waited too long to reserve a summer vacation in Cape May. Well you’d be thinking wrong! There is still plenty of availability for the summer, although it IS going quickly. There are homes available for large families, like this fabulous property with its in ground pool and adjacent private cottage. But smaller groups and couples still have their fair share of options as well. 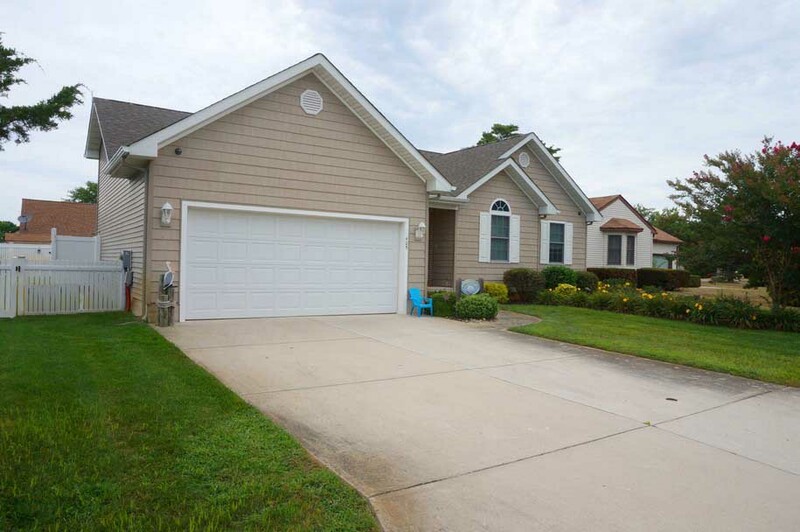 Take for example this adorable walk-up apartment located RIGHT on the Washington St. Mall. If you want to be right in the heart of the action, this location is absolute perfection! To the contrary, we do offer a bit of offshore inventory, including this Sunday to Sunday rental located only 3 blocks from the picturesque Delaware Bay; home of the BEST sunsets in all of Cape May County. The offshore locale is only a short drive to the center of town and is a wonderful way to experience Cape May in a new light. We would like to wish everyone a very Happy Easter and a wonderful spring break full of relaxation and amusement. Homestead will retain our traditional hours over the Easter holiday. So we will be open from 9 am until 5 pm Monday through Saturday, closed Sunday. Stop in and visit our beautiful office. We’d love to help you locate a vacation rental. We also have a fantastic team of dedicated sales agents ready to assist you if you’re considering turning the dream of owning Cape May property into a reality. If you’re interested in buying or selling property please do visit our BRAND NEW state of the art sales website. You’ll be glad you did! Remember that we at Homestead are the Cape May Experts, and we can’t wait to share our knowledge with YOU. Experience the Homestead Difference. Previous Previous post: Cape May Takes “Flight”!